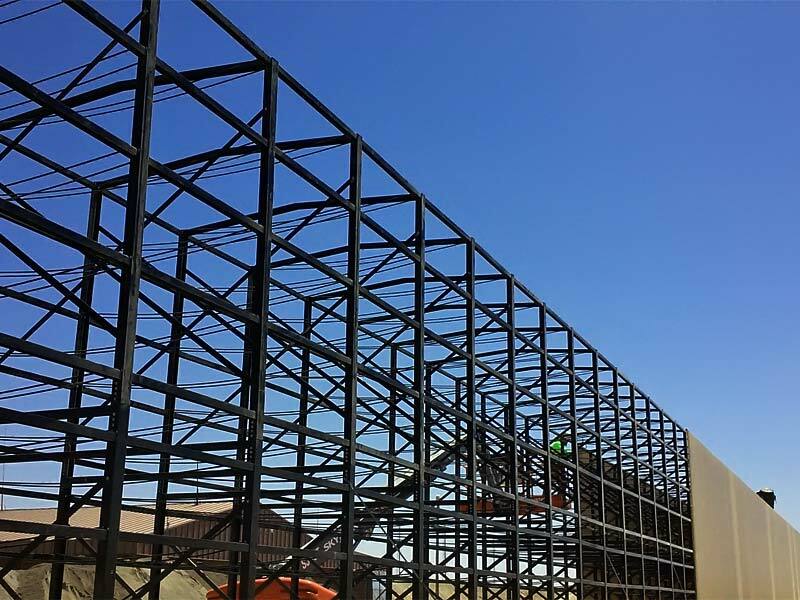 Northcon has construction projects located across the contiguous United States and field office management oversees construction subcontractors and projects. Whether managing a local regional construction project or multiple task award for the federal government, Northcon’s commitment to quality and customers is paramount. Construction Office Locations Nationwide: The following positions are currently open. We invite you to see if your background matches our qualifications. The Project Manager will provide comprehensive leadership and management oversight on projects. Part of the strategic and tactical team of task order execution and projects that may include rebuilds, refurbishments, ground up construction and other assigned. Executes project management and construction processes from initiation through closeout, including review and implementation of project plans, construction documents, contractor coordination and management, employee management, construction administration, quality inspections, reviews and closeout. Provides oversight of company contractors and subcontractors. Ensures quality control of all projects, resource allocation and construction standards. Provides Quality Control and Safety guidance and audits same. Leads team and construction progress meetings. Works with proposal team and operations to support winning proposals. Monitors work progress and costs and provide project reports as requested. Bachelors Degree, or higher or 10+ years experience in the construction field and 5+ experience in construction management, or successful completion of a higher degree with a major study in an appropriate field of engineering, construction, or industrial technology. Prior DOD experience a plus (either in the military or civilian employment). Experience in skill, labor standard, job site evaluations and construction documentation. Read, understand and review blueprints, construction plans, documentation and contracts. Previous experience managing projects with the USACE. Knowledge of ID/IQ and Job Order Contracting (JOC) contracting is a plus. Provide articulate explanations, progress reports, concepts and processes in writing. Must pass drug screen, criminal and background check. The company is committed to a drug free workplace and pre-employment drug screens are a condition of employment. Leads the quality control programs and inspections for multiple task orders. Ensures continuous improvement. Inspects projects at various stages construction. Inspects and tests the performance of equipment and systems. Plans, coordinates, and directs quality control program designed to ensure continuous production. Analyzes statistical data and specifications to establish proposed quality and reliability expectancy of finished product. Selects random projects at specified stages in production process, and inspect materials for specifications and contract compliance. Conducts regular site audits to ensure reporting requirements are up to date and meets company objectives. Investigates and takes corrective action to address any concerns regarding quality. Army Corps of Engineers Construction Certificate (CQM). Knowledge of E-385, FAR and DFAR a plus.. Experience in skill, labor standard, job site evaluations and construction documentation. Read, understand and review blueprints, construction plans, documentation and contracts. Knowledge of ID/IQ and Job Order Contracting (JOC) contracting is a plus. OSHA 30-Hour preferred. CPR and First Aid Certifications required. Inspects work environment, machinery, equipment and safe work practices in offices and other work sites for conformance with governmental standards according to procedure or in response to complaint or accident. Obtains facts about work practice or accident. Rates unsafe condition according to factors such as severity of potential injury, likelihood of recurrence, employers’ accident record, and evidence of voluntary compliance. Observes subcontractors, vendors, and employees at work to determine compliance with safety precautions and safety equipment used. Manages and orders suspension of activity posing threat to workers. Works with Project Managers to present and discuss inspection findings. Reviews log of reportable accidents and preventive actions taken to determine employers’ attitude toward compliance with regulations. Documents findings and code sections violated. Bachelor’s degree from a four-year college or university in any Construction Management or Occupational Health related program; or 5-7+ years related experience and/or training; or equivalent combination of education and experience. Knowledge of E-385, FAR and DFAR a plus. Safety level certifications a plus. HAZMAT Certified, OSHA 40-Hour, Confined Entry Certification, and CPR and First Aid Certifications required. The Construction Superintendent coordinates all site construction activities and supervises all construction personnel to successfully complete the project on schedule and within budget. Supervises all trade and field work ensuring construction safety practices with all on-site activities. Ensures all company employees and contractors are adhering to the company safety policy. Rectifies job site hazards immediately. Maintains an organized job site. Displays strong written and oral communication skills and effective listening skills. Possesses well developed interpersonal skills including the ability to work well with diverse personalities. 5-7+ years related construction experience. Proven ability to provide articulate explanations, progress reports, concepts and processes verbally and in writing. OSHA 10 and CPR and First Aid Certifications required. This position will provide project accounting, procurement and administrative support to construction and environmental projects. The candidate will perform field purchasing, receiving, vendor and subcontractor invoice review. Manages and certifies timekeeping and payroll. Establishes, maintains and reports actual costs, budget variances, purchase orders and subcontracts. Audits weekly posting of reported project costs, and assists with invoicing. Supports procurement activities and perform additional assignments as needed. 4+ years progressive experience in purchasing, billing, budget tracking and reporting, or equivalent work experience in federal construction/environmental project administration. A 4 year degree with math, accounting, or business emphasis is a plus. Provide articulate explanations, progress reports, concepts and processes verbally and in writing. The physical demands are representative of those that must be met by an employee to successfully perform essential functions of this job. Primary environment is dual, in an office setting and on a construction site. Lighting will vary from traditional office to light and heavy industrial construction both inside and outside. The performance of this position may require exposure to the construction, heavy construction, machinery, manufacturing, and areas where circumstances require the use of personal protective equipment such as safety glasses with side shields, proper shoes and mandatory hearing protection. As some of the work is outside or there is traveling from work site to work site, the employee may be exposed to the elements. Individuals may need to sit or stand at regular intervals and walk on a variety of surfaces. Reaching above shoulder heights and below waist. May include walking while lifting up to 40 pounds, and occasionally 75 pounds. Proper lifting techniques are required. Safety is paramount. Reasonable accommodations may be made to enable individuals with disabilities to perform the essential functions. If you are interested in a position listed, follow the How to Apply instructions and complete an Employment Application. We look forward to hearing from you.